Planet Hugill: A 180-strong community company plans to premiere Roxanna Panufnik's Silver Birch at Garsington this summer. A 180-strong community company plans to premiere Roxanna Panufnik's Silver Birch at Garsington this summer. 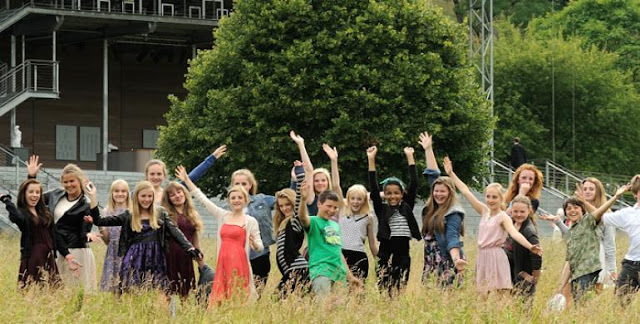 Roxanna Panufnik's new opera, Silver Birch, is a commission from Garsington Opera and it will be premiered this Summer at Garsington with performers combining professional singers and instrumentalists with over 180 people from the local community aged 8 to 80. Students from primary and secondary schools, members of the local military community, student Foley artists under the guidance of Pinewood Studios and members of Wycombe Women’s Aid will perform as dancers, singers, actors and instrumentalists alongside the professionals. The opera is being conducted by Garsington Opera’s artistic director Douglas Boyd and directed by the creative director of Garsington’s Learning and Participation programme, Karen Gillingham, with movement director Natasha Khamjani, vocal director Suzi Zumpe, designer Rhiannon Newman Brown and video designer Mischa Ying. The libretto by novelist and journalist Jessica Duchen takes an original story about courage and aspiration, centring on relationships and family ties tested when two boys go off to fight in a present-day war. The piece also draws upon Siegfried Sassoon’s poetry and Sassoon was a regular visitor to Garsington Manor (Garsington Opera's original home) and his great-nephew will be appearing in the production. The professional roles will be performed by Sam Furness (Jack), Victoria Simmonds (Anna), Darren Jeffery (Simon), Bradley Travis (Sassoon), Sarah Redgwick (Mrs Morrell) and James Way (Davey) with the Garsington Opera Orchestra. The 180-strong company was selected from workshops and residencies throughout Oxfordshire and Buckinghamshire, with over 300 people being auditioned. The community performers include a mix of 60 local adults, including 10 recruited from the military community, a 40 strong Youth Company (aged 10 to 20) from over 25 different schools and colleges, and the 50-strong Primary Company from six local schools. Four child soloists share the key roles of siblings Leo and Chloe. Using ideas created during the devising process by sound and music consultant Jem Panufnik, students from Cressex Community School will perform alongside the sound design team led by Glen Gathard and Foley artists from Pinewood Studios. In the orchestra pit, in partnership with Buckinghamshire Music Education Hub, a group of young local instrumentalists will have the opportunity to play specially written shadow parts, performing alongside the Garsington Opera Orchestra. Silver Birch is performed at Garsington Opera on 28, 29, 30 July 2017, further information from their website.